Patrick, my son, who loves the original recipe asked if I could make a chocolate version. I did and he believed I made them taste a lot better! It’s true. For a chocolate lover they are a little better than the original. 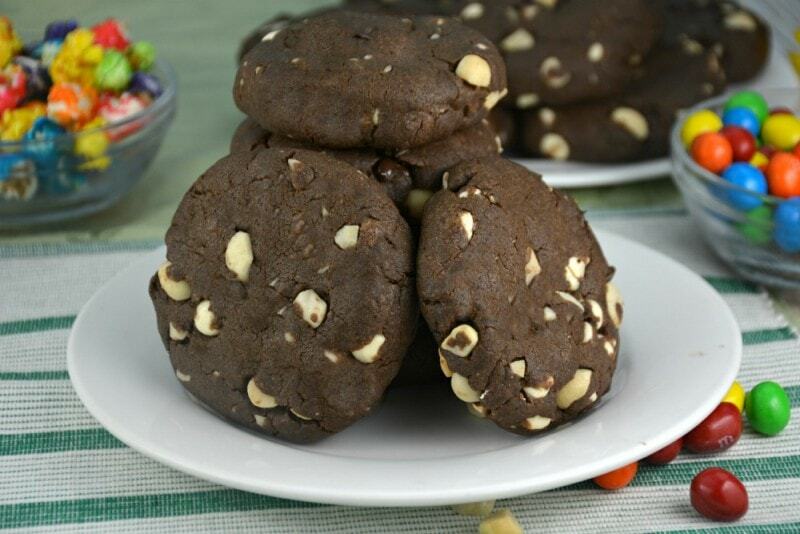 Chocolaty Chocolate Macadamia Nut Cookies will be a delight served on any occasion. Thick, soft and who can resist macadamia nuts after all? 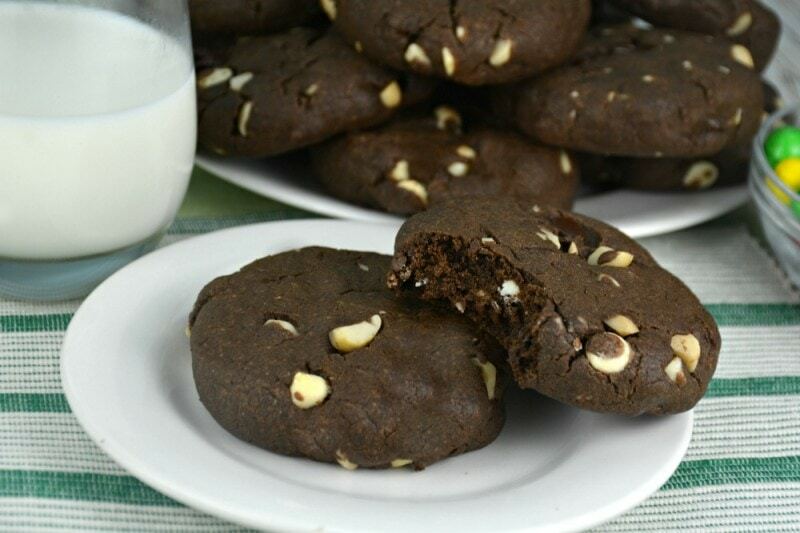 Jump to Recipe Print Recipe You can use a combination or just white or dark chocolate chips to make these Chocolaty Chocolate Macadamia Nut Cookies. I use whichever I have on hand. I have even made them with chopped chocolate and they still taste great! 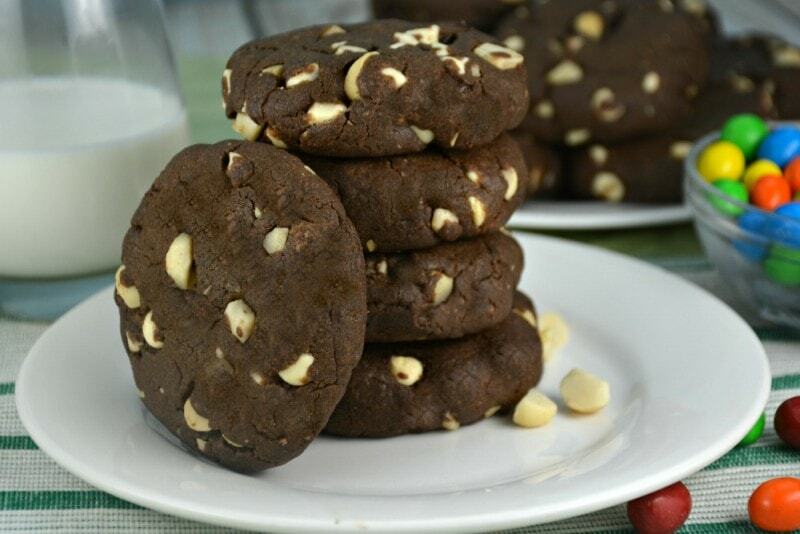 If you are thinking that these Chocolaty Chocolate Macadamia Nut Cookies are too chocolaty for you, if that is even possible, check out our recipe for Chocolaty Macadamia Nut Cookies. They are just as good but slightly different. 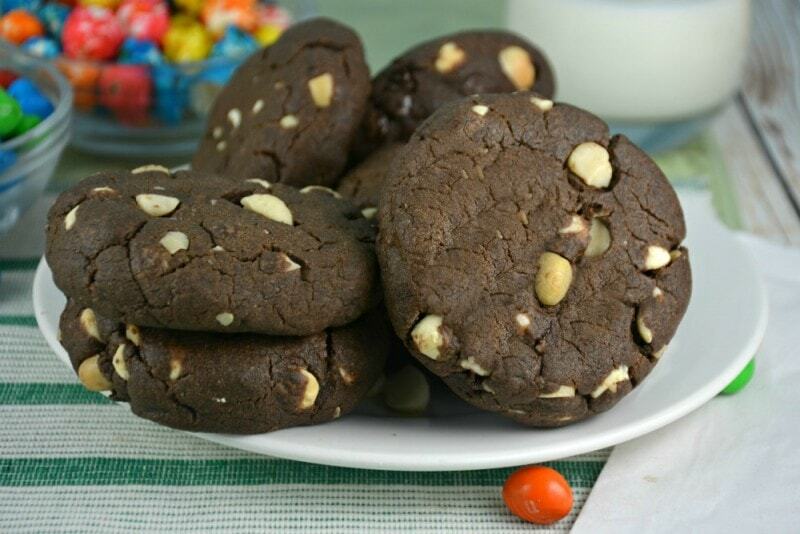 These Chocolaty Chocolate Macadamia Nut Cookies freeze beautifully. This recipe will give you 16 big cookies. I usually put 8 in the oven at a time. You can make them smaller, if you have small children or just want to, just remember to reduce your cooking time. If you have a moment please check out our video below. 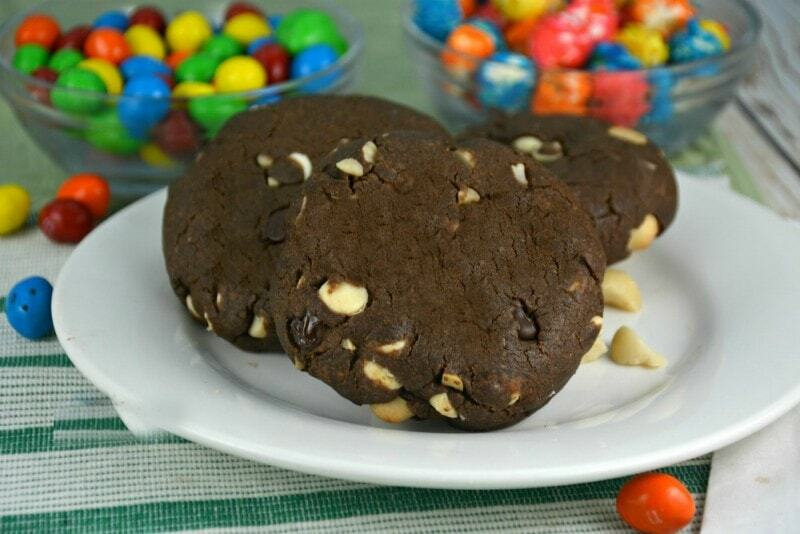 Chocolaty Chocolate Macadamia Nut Cookies are definitely worth a try! In a large mixing bowl cream together butter and sugars. Add eggs and vanilla and until combined. Add salt, soda, cocoa and flour and beat until well incorporated. An electric hand mixer makes this easier. Stir in chocolate chips and macadamia nuts. Refrigerate for at least an hour. Form discs that are 3/4 - 1 inch thick and 1 1/2-2 inches wide. Place on parchment paper or a lightly greased cookie sheet. Bake for 18-20 minutes, until they start to lose their shiny surface and the edge starts to set. These cookies are better underdone. Cool at least 5 minutes on cookie sheets before removing to cool on wire racks.